F.A.Q.s – What camera bag did you use in India? 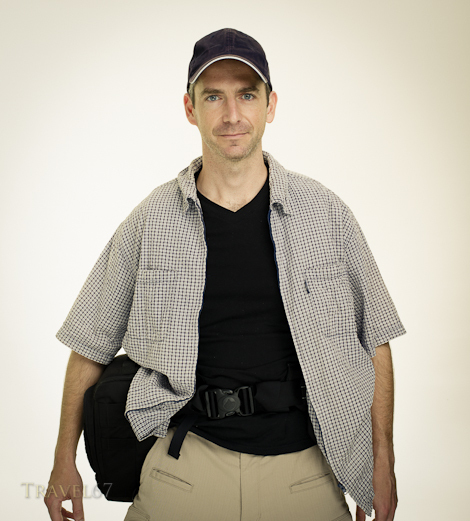 I usually use a Lowepro DryZone 200 bag for hiking, and a Pelican 1510 for studio shoots. 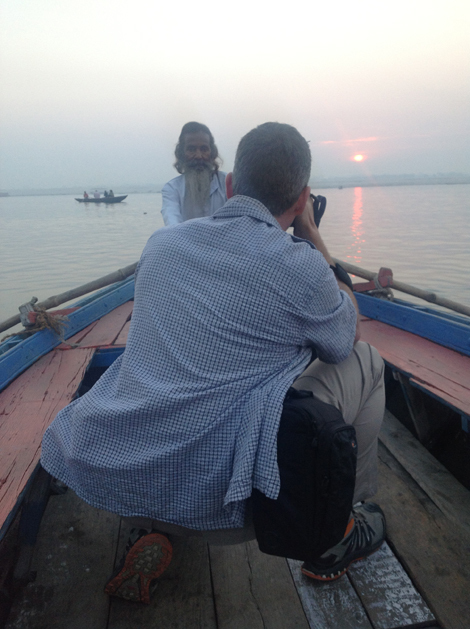 However, while in India I used a Lowepro S&F belt and harness system. Attached was a Lowepro Toploader Zoom 55 bag for my 645D, a utility pouch for the other lens, batteries, etc, and a water bottle holder. The above pic clearly shows the system although it’s much less conspicuous if you wear a black t-shirt. Even better is to then put on a loose fitting shirt which covers all the straps. You now have easy access to the equipment, but are not drawing attention to all your expensive gear. Both bags have zippers so your gear isn’t going to bounce out. 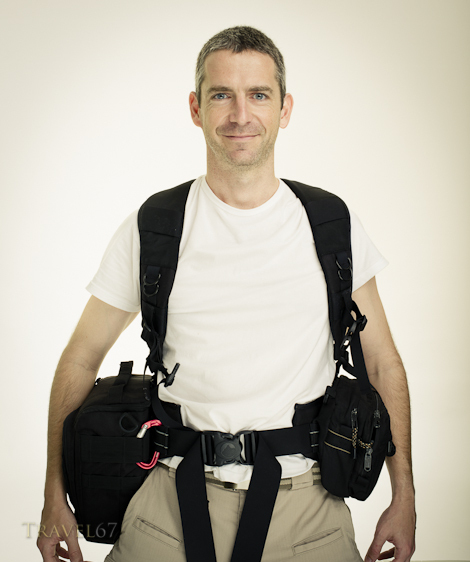 The shoulder straps make carrying the 645D far more comfortable than using a single strap. They also prevent your gear from crashing to the floor if the waist buckle pops open, or from disappearing if someone tries to grab the belt, pop the clasp, and run. I first tried this setup in Istanbul a couple of years ago and found it worked really well. I’ve used it several times since, including shooting Fuji Rock Festival last year. Here’s a shot of me taken by fellow traveller Kim Logue. Following the advice of my friend Shawn I got a couple of pairs of 5.11 tactical pants. The various pockets held sunglasses, hand sanitizer, map, wallet, loose change for small purchases, tissues, ipod and a ballpoint pen. Under my t-shirt I had a neck pouch that contained passport, credit card, and one set of SD cards. I returned to Okinawa having had nothing stolen. Someone, somewhere tried to clone my credit card and withdraw cash from an ATM, but it was stopped by VISA security. Of course nothing guarantees safety, however, being a little less conspicuous with your gear is probably not a bad idea.